Saturday's evening's storm took down a medium-sized tree limb in Rosslyn's Ft. Myer Heights Park. 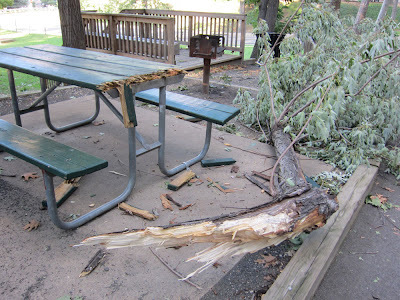 The falling limb caused minor damage to a picnic table. Most of the picnic table remains fully functional. As usual, Rosslyn's charm implies little cause for worry or fear.